The arts deserve central consideration in Harvard's mission, not just treatment as an embellishment. Microsoft founder Bill Gates recommends service as a criterion for values. 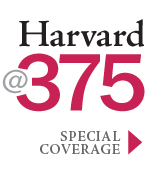 Harvard needs to extend its reach online in the future, without lowering standards. Harvard should teach its students earthy, practical skills as well as mediated ones. Though China may surpass America as an economic power, Harvard can retain its global leadership in higher education by maintaining its core strengths. Harvard could become a place where all talents find a welcome, and art students of all stripes can study with masters. In the future Harvard will serve nontraditional students, both on- and off-campus, in much greater numbers than traditional ones. The House tutorial system effectively educates undergraduates on a small intimate scale and should be strengthened. Academic freedom for students should mean the freedom to study what they want, without regard to categories or rigid boundaries and rules. Harvard needs to structure its research and teaching around several of the world's leading social and economic problems. Harvard invests in its people in much the way that a venture capitalist invests in a new business venture. Harvard's future will include an emphasis on learning by many kinds of students, who attend throughout the life cycle. A major strength of Harvard is its ability to enable students to improve their socioeconomic standing, and that should be preserved. Imagining the future—however risky it is to make predictions—can be a comforting activity, even a productive one. And although psychologist Daniel Gilbert's 2006 book Stumbling on Happiness makes a strong case that humans aren't very good at forecasting what will make them happy even a few days hence (much less in 25 years! ), it seems that human nature also compels us to build some castles in the air—and maybe even try to move in. Building that castle, like all human achievements, starts with an idea. Every creation springs from a vision of something that does not exist, but might. Such first stirrings, neither plans nor blueprints, are closer to desires. And desire, as the prime motive force, is essential. Holding in mind a detailed image of a wished-for outcome can be a powerful step in creating that very result. We asked a baker's dozen plus one of diverse Harvardians to share their images of what the University ought to be a mere quarter-century from now. Not to predict what it will become, just to lay out what each contributor would like to see in a four-centuries-old academy. Taken together, the varied visions don't so much compete with as complement each other: these small discourses resemble less a chessboard than a bouquet to alma mater. With gratitude to all participants, we invite you to draw near, look, and inhale. The Microsoft founder recommends service as a criterion for values. In the future Harvard will serve nontraditional students, both on and off-campus, in much greater numbers than traditional ones.